“For years, I’ve stored my stress as a muscle knot in my left shoulder and neck. With massage therapy and CBD oil cream, I’ve finally overcome this distracting and debilitating pain.” – Jasmine S.
Hemp moisturizers have been on the market for decades now, but a new cannabis-based topical cream — CBD cream — has recently hit the market. CBD, more formally termed cannabidiol, has been proven effective in the relief of pain by the research powerhouse the National Academies of Sciences, Engineering, and Medicine. CBD cream is used for dealing with areas of specific pain or injury. It is one of the most common types of CBD oil used by athletes. CBD cream helps relieve muscle pain as well as joint pain. It is trusted by personal trainers, athletes, doctors, and patients all across the board. CBD, which is found in both marijuana and industrial hemp plants grown for fiber, is not psychoactive like other compounds (like THC) and is completely legal to own and use. 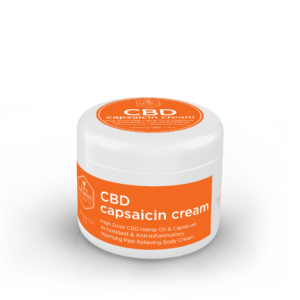 CBD Cream is applied topically, much in the same way as you would use a lotion. It can help with muscle soreness, pain, and even help with dry skin and conditions like eczema. Pain relief is the most common use for this delivery method. CBD cream rub is usually made with completely natural products. Ingredients in the topicals can include olive oil, coconut oil, and sometimes humectants like shea butter. Not only is it good for the pain you might feel, it also nourishes the skin. Some CBD creams are made with peppermint, cinnamon, or capsaicin; this provides additional benefits for tension and pain relief. CBD topicals can come in many forms such as lotions, lip balm, and even sexual lubricants. The advantage of administering CBD topically is that it absorbs directly into the affected area. For instance, if you were a runner and were experiencing pain in your calves, you would apply the cream directly to your calves where it would be absorbed. Instead of penetrating to your bloodstream, the CBD would react with CBD receptors in the skin, activating the endocannabinoid system. This creates concentrated relief where you need it most, with no other effects, which is often most desirable. 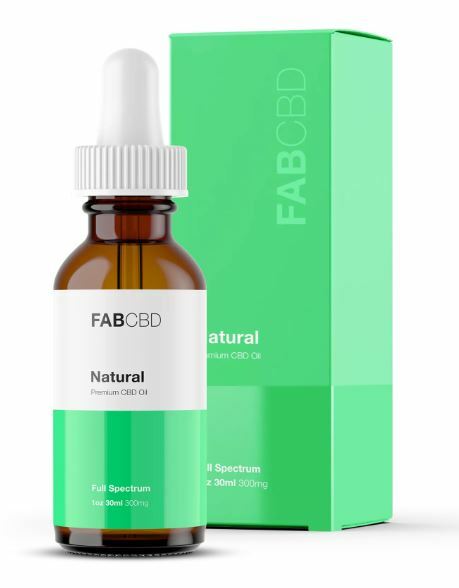 One thing to keep in mind when it comes to the use of CBD cream or other topical CBD oil product is that your skin has a low absorption rate for CBD. For maximum benefit, you will want to apply the cream liberally to the area you would like to treat. This ensures that you will get enough of a reaction in the endocannabinoid system to provide the relief you need. CBD creams are best used for localized pain relief. You can use CBD cream to treat a sports injury, joint pain, pain related to chronic conditions, inflammation, dry skin and eczema. CBD cream is especially useful for athletes because it has antioxidant and anti-inflammatory properties. A lot of soreness experienced by athletes results from the oxidation of cells due to subtle tears in muscles. CBD cream can help greatly with this; this will decrease the pain and the length of recovery time. Wash the affected area with soap and water, and make sure that it is dry. This will ensure that there is no dirt, oil, or build up from any products you may have used previously creating a barrier between the product and your skin. It makes for faster absorption. After you have applied the CBD cream liberally to the area you need it on, you will want to rub it in for several minutes. 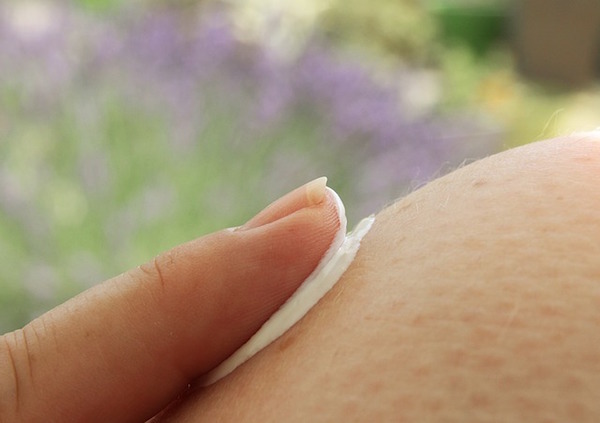 Leave the area uncovered by any bandages or clothing until it has fully absorbed into your skin (an hour or so). By waiting to cover the area, you can be sure that none of the product has inadvertently rubbed off, that way you can get the fastest and most efficient relief. When it comes to surface conditions, burns, rashes, eczema, psoriasis, and some skin infections can all be relieved with CBD when used transdermally because of the analgesic and antibacterial properties. Anecdotal and scientific evidence show that CBD cream is a great option for many ailments, and the cream delivery method offers very focused and fast relief.